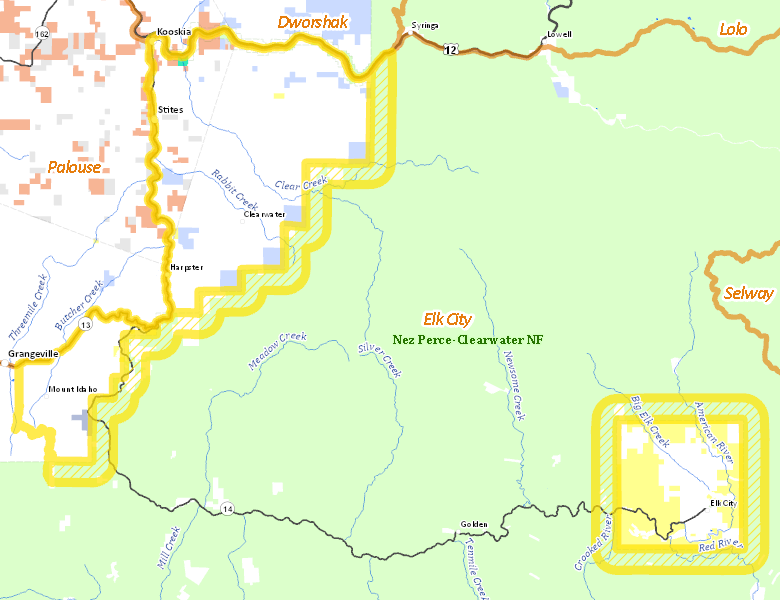 That portion of Units 15 and 16 outside of and up to one mile inside the National Forest System Boundary. The National Forest System Boundary is a legislatively set boundary - it is not necessarily the boundary of Forest Service property. Please refer to a US Forest Service travel plan map for the location of this boundary.